This luxury property refurbishment involved applying a silver metallic colourwash to the hall and reception area walls and architectural niches. The overall effect is slick and industrial, and very contemporary. 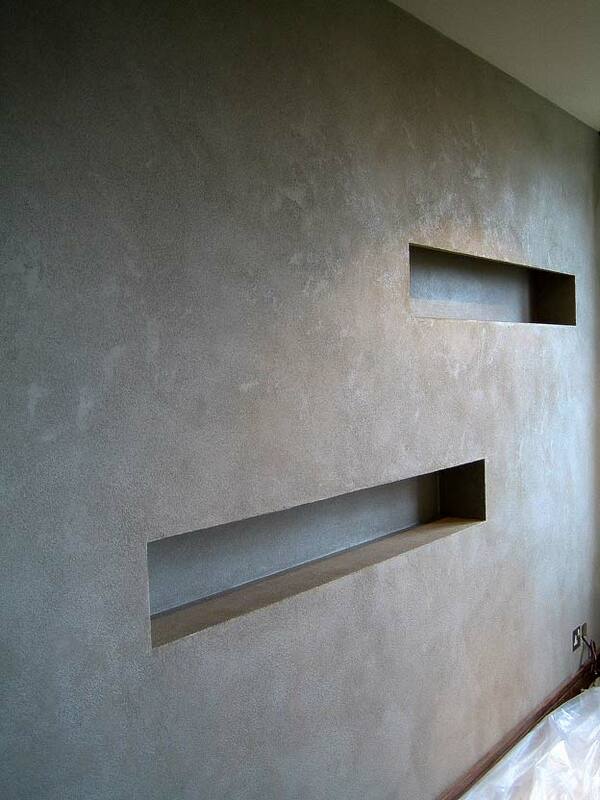 Pitted polished plaster resembles limestone or even concrete in character, with granular marble chips embedded in the mix of lime putty and marble dust. 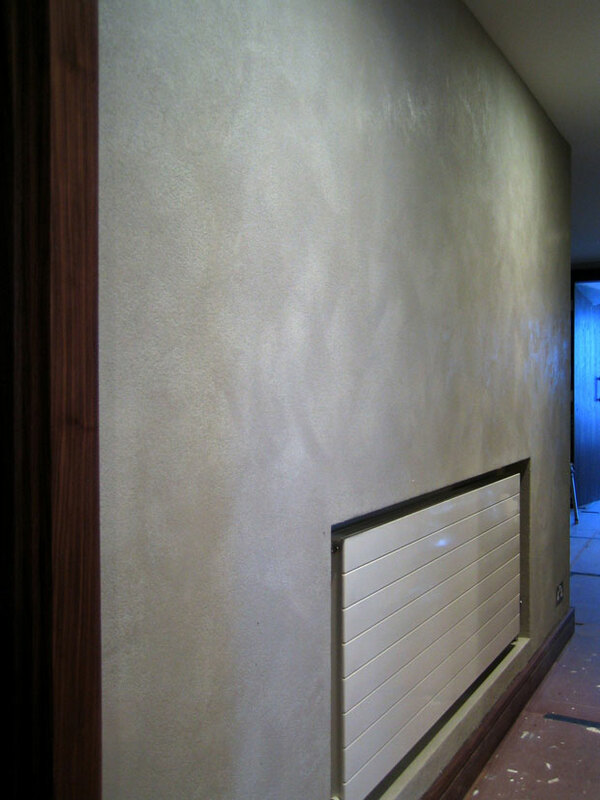 The colour choice with pitted polished plaster is virtually limitless since the plaster can either be pre-tinted before application or enhanced with a translucent colourwash or pearly glaze – as was done here. Colour: Foggy Grey with Silver Metallic colour wash.